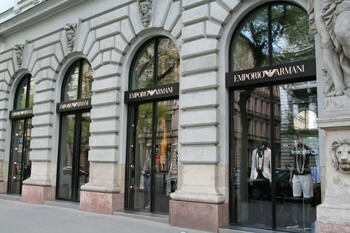 Shopping in Budapest offers plenty of options to find good bargains. boutiques appeared at every corner of the city. If you prefer charming, small shops with unique products, over the faceless shopping centres you’ll find quite a few of them too. It’s good to have some information where and what to buy to make your shopping a rewarding experience. on Saturdays from 06.00 or 07.00 till 18.00/22.00. Food markets are usually open from 06.00 till 17.00/18.00 from Monday tol Friday and from 06.00 till 13.00/15.00 on Saturdays. All shops – except some non-stop 24/7 shops – are closed on public/bank holidays. TIP: View our list of opening hours for various attractions, museums, baths during Easter. Large shops accept credit cards, especially in the touristy parts of the town. In small shops and markets you have to pay in cash, so make sure you have enough Hungarian forints in your purse. VAT (value added tax 27% in most most cases) is built in the price of most consumer goods and services. Refunds are available for most purchases that exceed 50,000 HUF. Look for shops that have “Tax Free” logo in the window. 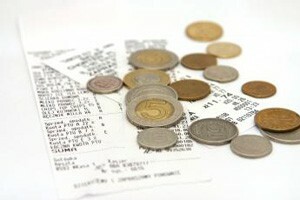 Ask the sales assistants to provide you with the necessary documents you need to get the refund. The shop assistant will also help you to fill in the form. If you depart Hungary by plane you can collect your refund at the IBUSZ Agency at the Airport. Do this right after checking in but before you pass security control! If you don’t have time to do that at Ferenc Liszt Airport, you’ll still get your money, though the process is rather lengthy. When you land at you home country’s airport, get your forms certified by Customs. Then mail them in your envelope and wait for your refund. you must mail your forms within 183 days of the date of export certification on the refund claim form. TIP: the new terminal lounge on the airport, SkyCourt has many shops selling typical Hungarian souvenirs and artwork but you’ll find many famous designer shops there too. There are many Hungarian specialties from food stuff to porcelain. When I stroll in the city centre I see that tourists love Hungarian folk-art souvenirs very much. These are handmade folk art products that are very characteristic of our country. These souvenirs will decorate your home and always remind you of your stay in the Hungarian capital. In Castle District and on Gellért Hill you will definitely find vendors who sell these products. You also find folklore shops in Pest’s chic shopping street, the Váci Street, though their products are a bit overpriced. Address: Vörösmarty tér 1., district V.
A spacious new gift store – backed by governement funds – opened on Vörösmarty Square in downtown in November 2015 offering all things Hungarian (a wide range of goods termed “Hungarikum” – that are made/produced exclusively from local ingredients by local people in Hungary – the list is ever-expanding and the requirements to use the term Hungarikum are regulated by law). 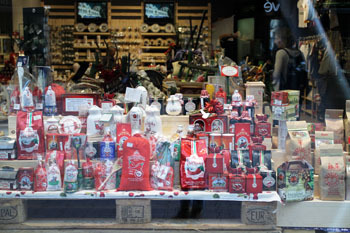 Although the place is easy to aceess, especially if you visit the Christmas fair on the square, being right in the city centre, and the products are attractively arranged the store carries lots of “cheap” stuff that simply aren’t worth buying. A good place to pick up paprika spice (from Kalocsa and Szeged), hot paprika paste,a bottle of pálinka, Unicum spirit, Tokaj wine between the mish-mash of postcards, pins, cheap pottery and other trinkets. TIP: The markets (either the Belvárosi Piac in Hold Street or the Central Market on Fővám tér, or the Market at Fehérvári út (tram 4 termini) are much better places to shop for local souvenirs and goods. For food stuff I recommend the Great Market Hall at the Pest end of Liberty Bridge (Szabadság híd). It’s not only the best and cheapest place to buy your souvenirs, but it’s the oldest market in the city. The market building’s architecture itself is worth a visit. For folk products go to the upper floor, or look for ethnic Hungarian women wearing folklore costumes and kerchiefs tied around their heads. They usually travel up to Budapest with bags full of fine, authentic folk items to sell. You can buy things from them for much cheaper than in the touristy shops. The hand-painted Herend and Zsolnay Porcelains also make exclusive gifts. Both are world-famous brands and you probably can find them in your country, but in Hungary you can get them at lower prices. Zsolnay Márkaüzlet in Váci utca: Opening hours: Mon-Fri: 10.00-21.00. The Zsolnay factory’s official website. 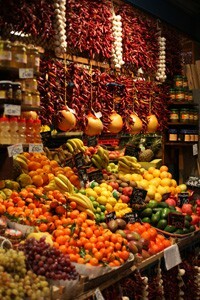 For gourmands Budapest is a paradise. You can taste lots of Special Hungarian Foods ranging from goose liver to wines. 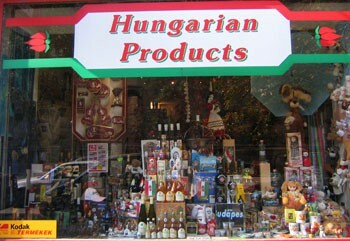 Do not return home without buying some delicious Hungarian food and drink stuff. Make sure you check the custom regulations of your country, before you buy anything that you want to take home with you! You’ll find fashionable designer products, as well as folklore and art products in the most popular shopping areas. They are in the busiest parts of the city so the shops here are rather expensive. Apart from the already mentioned Váci utca, Andrássy Avenue is another place of famous designer shops (Gucci, Armani, Roberto Cavalli, Louis Vuitton, Dolce & Gabbana) exclusive gift shops, along with some fine restaurants and cafes. 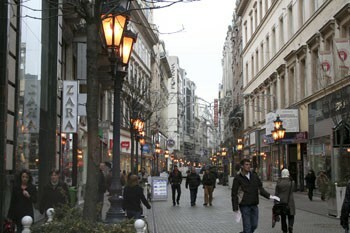 A shopping street dedicated to world fashion brands. The old buildings in Deák Ferenc utca have been renovated to house international brand shops like Tommy Hilfiger, Sisley, Mexx, Lacoste, Puma, Furla etc. There’re also the Vapiano Italian Restaurant, a TGI Friday’s a Starbucks or the ÉS Bistro & Deli (freshly-roasted gourmet coffee and pastries) in the Kempinski Corvinus Hotel should you feel peckish while shopping. If you have less money to spend on gifts, head for shops along Nagykörút (Grand Boulevard) or the markets. 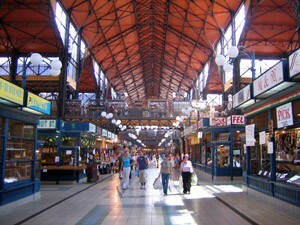 The already mentioned Central Market Hall at the Buda end of Liberty Bridge is the best known food market in the city,and that’s where many locals do their shopping. The Wamp Design market is a monthly gathering of talented Hungarian designers and artists to sell and promote their products. 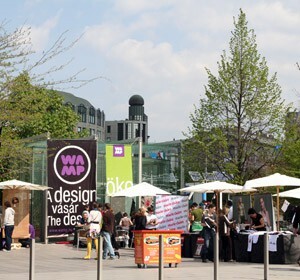 In spring the fair is held on Erzsébet Square (M 1, 2 3 metros Deák tér station), bnear the Basilica in the city centre. In the cold months (November – mid-April) it moves to the “B” Hall of the Millenáris Park (Kis Rókus utca 16-20., behind Mammut Shopping Center). Besides artworks, you’ll find some unique gastro products (jams, preserves, honey, chocolate, cheese spices, wine) on the fair as well. Note: From November till mid-April the market is held on each Sunday in the B and D halls of the Millenáris. Besides the best-known, Great Market Hall on the Pest side of the Danube at Liberty bridge, Budapest has a couple of other food markets where you can get fresh local veggies, greens and fruits, dairy and meat products, bread and pastries, wine and pálinka. The most popular Budapest Markets are: Belvárosi Piac (Downtown Market in Hold utca, Parliament neighbourhood, district V.), Fehérvári úti Market (next to Allee Shopping Centre, tram 4 will take you there), or Lehel tér market (M3 blue metro line). TIP: My favourite places to get artisan food products (jams, honey, salami, cheese, chocolate, bakery goods, sauces and patés) are the weekly Farmers’ Markets at various locations in Budapest (Szimpla Sunday Markets, Közös Piac) or the night market on Thursdays between 13.00-19.00. 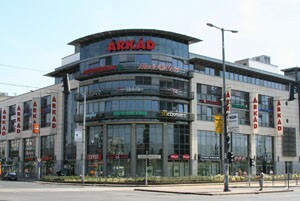 The largest ones are: Aréna, Allee, Árkád, Corvin, Duna Plaza, Europeum, Lurdy, Mammut, West End. 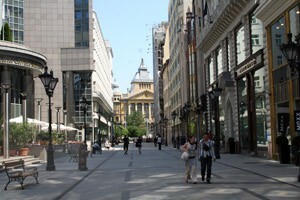 If you love modern, flashy shops Budapest Shopping Malls are for you. You can buy all sorts of things from clothes to food products, use services (banks, dry cleaning, changing nappies for your baby, get a hair cut at a hairdresser). You’ll also find free WiFi in every shopping center. The good thing is, that if you get tired or hungry, there are a couple of cafés and fast food restaurants to sit in. Several shopping centres are conveniently located in the city centre, or are easily accessible by public transport: Corvin Plaza (M3 metro, or trams 4 and 6), Europeum Shopping Centre (M2 metro or trams 4 and 6, Blaha Lujza Square stop), WestEnd Mall (M3 metro or trams 4 and 4 Nyugati tér stop). TIP: check out the newest shopping (and cultural) centre on the Pest bank of the Danube: the Budapest Whale opened in 2013. The impressive building houses shops, cafes and restaurants, and the New Budapest Gallery with personal and more comprehensive exhibitions of contemporary artists. 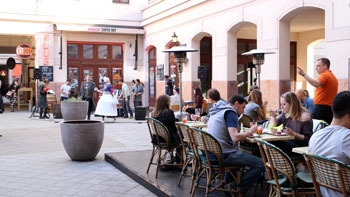 It also hosts festivals, gastro events, like the Cheese Festival in early spring and a weekly antique flea market called KORZÓ. 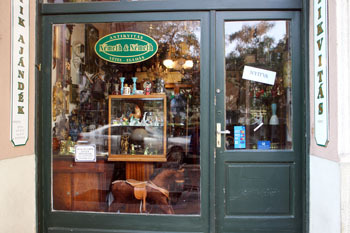 The best Antique Shops are in Falk Miksa Street near the Parliament. 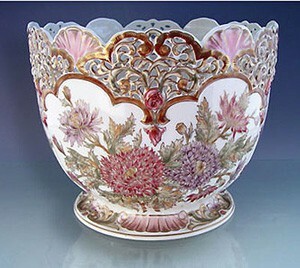 TIP: Check out: Darius Antiques for furnitures, paintings, weaponry, glasswork and porcelain, or Bujánovics Antiques for silvers, folk art, clocks and furniture items. A mix of old books, vintage knick-knacks in the citiest busiest restaurant, cafe and bar hub in the old Jewish District. A good program for all ages: children can find unique retro toys while mum can add a cute vintage jewel to her collection. Dad can sip a beer in one of the countless cafes and bars, later the whole family can have a lazy lunch (2Spaghi, Padthai Wokbar, Spíler Shanghai). Budapest hosts a couple of charming Christmas fairs and winter festivals between the last weekend of November till end of December or till the first weekend in January. The most popular one, voted several times the most affordable and best Christmas market in Europe, is on Vörösmarty Square in the city centre. Easily accessible by walk, tram 2 or any of the three underground lines (M1 line has a stop right in front of the Gerbeaud Cafe on the square, and there’s another station nearby on Deák Ferenc tér, where all three lines stop). Szt. István Square at the Basilica (27. November – 02. January 2016. )- very popular too, this year with a special Street Food Street, handcrafted products, gourmet chocolates, cheeses, Hungarian wines and spirits, folk dance and dance house (Friday and Saturday at 17.00), visual mapping on the facade of the Basilica (every evening). A program-filled Advent Festival takes place in Városháza Park (21. November – 31. December) – a wide variety of cultural programs, charity events every weekend, as well as market, food and beverages and a snow slide for the kids. 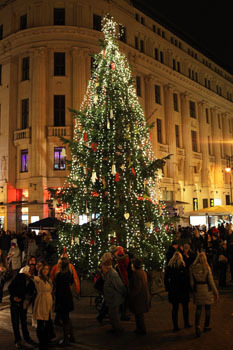 TIP: See also our tips on the best Christmas Markets in Budapest. Where can I find fine silk fabric stores in Budapest? I appreciate any information!